User experience metrics (UX metrics for short) have become more and more critical to how digital properties and brands position themselves on the web. 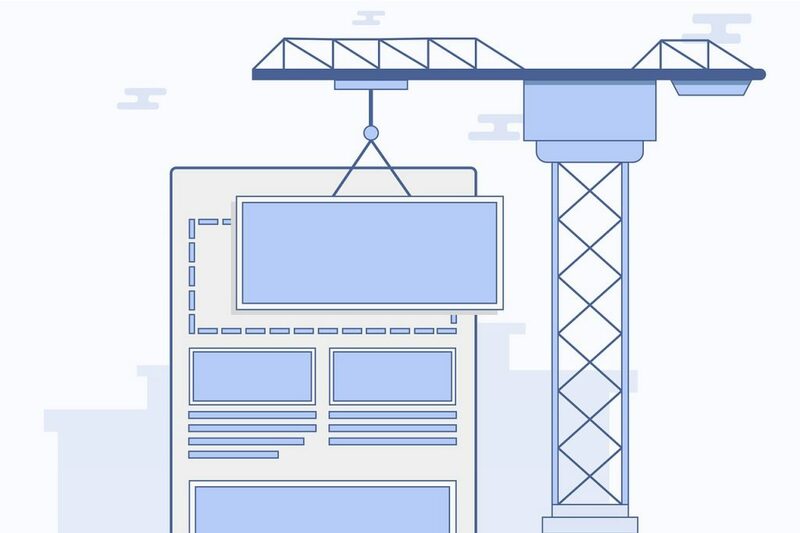 Some of the largest publishers on the planet have identified the paramount importance of UX metrics and their long-term impact on things like digital ad revenue, SEO, and brand image. Unfortunately, while the importance of user experiences is not lost on most digital publishers and property owners, identifying which UX metrics they should be paying attention to appears to have become a debate. Below, I’ll highlight objective data that will demonstrate exactly how UX can be measured. Additionally, I’ll dig into the next generation of UX metrics that innovative publishers (and the Duopoly) are beginning to look at as a means of better defining good experiences from bad ones. I’ve talked about this a bit before but there are really 3 types of ways that user experiences are being measured today on a macro-level. I’ll give you an example of all 3. The most common and accepted form of objective data for user experiences right now are bounce rate, time on site (session duration), and pageviews per visit. These can be broken down into deeper levels each, but these really are the best high-level ways to see how users feel about a digital piece of content. They are essentially voting with their behavior. Subjective data may be something like a survey. It is commonly performed by asking for specific feedback regarding how a visitor feels about certain elements. This kind of data can be helpful in guiding some decision making, but as we’ve talked about in-depth previously, this kind of information can lead to major problems as well. Ultimately, if survey data tells you certain elements are poor for UX, but your objective UX metrics (bounce rate etc.) are telling you something different; ultimately the objective metrics will be what impacts your future success far more than the subjective data. Finally, there is the illusion on objective data that actually requires a subjective analysis to reach a conclusion. In my opinion, this is the least helpful and most misleading form of UX measurement. 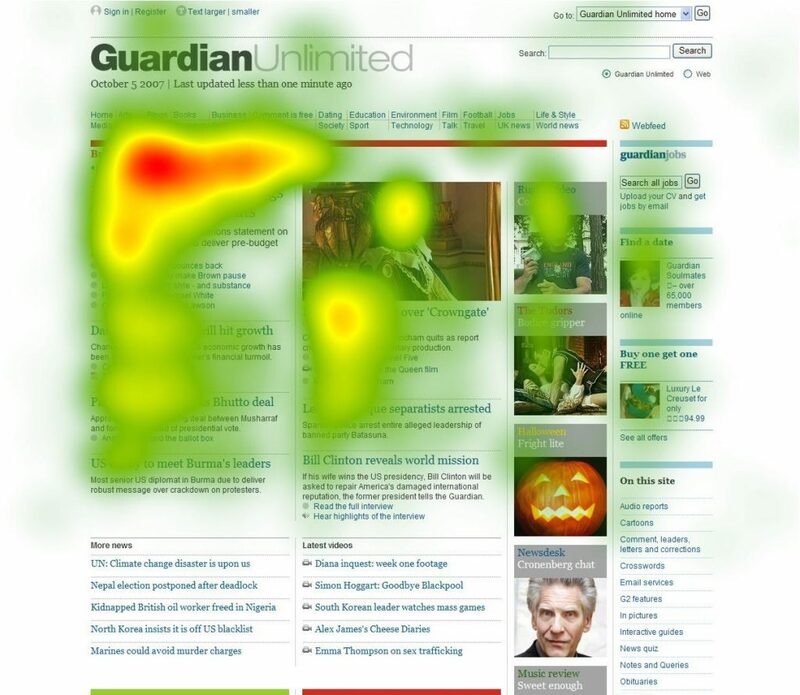 A great example of this type of measurement is a website heat map. The data collected by the heat map itself is objective. You can clearly see where users have clicked on a page and the data available is firm and measurable. Unfortunately, the data itself actually doesn’t tell me anything. It just plays on my subjective senses and personal bias. Why did most of the users click on the top menu as opposed to the main slider? Why is no one clicking on the bottom navigation? These aren’t bad questions but the heat map data isn’t giving me anything that tells me if it is good or bad for user experience. I might be able to get some insights into user behavior, but the data is requiring me to immediately make a judgment about if it is good or bad without actually knowing. I once worked with a large site that heat mapped their site for a month. When they were done, they KNEW that people weren’t clicking on their drop down menu because of the way it was ordered. Ultimately, they decided to rebuild the site and then place the most “important” navigation elements in the areas that the heat maps revealed as the places that users were clicking. The result? That site saw bounce rate rise considerably and session duration plummet. Their entire website redesign hurt their SEO badly for about 6 months. What can we learn from objective UX data? I really don’t want to rehash or regurgitate the really great articles I’ve written about this before, but I do think there are some things I may have not covered yet on this topic. If you haven’t read the two articles below, I strongly suggest you do (as they strongly relate to this topic). 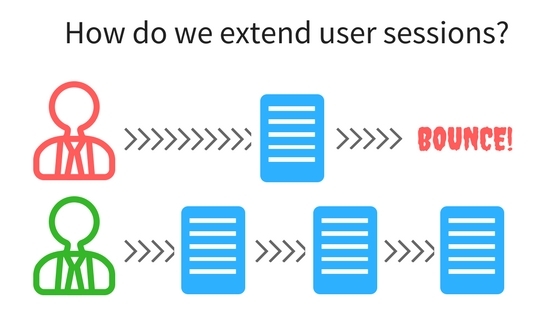 We should really think about traditional UX metrics as a way of understanding user sessions. Changes or evaluations of a web property should be designed to figure out how webmasters extend these user sessions; as longer user sessions are directly associated with higher revenue and better SEO. However, this has to be done without cheating the user – otherwise the price could be steep! Revenue is obviously higher because of a potential increase in pageviews per visit (and thus more ad impressions), but bounce rate and session duration are closely tied to this as well. These traditional UX metrics can guide our understanding of what is generally good or bad for the user session; and therefore good for digital revenue… mostly (read our recent case study on this). SEO is tied to this as well because Google and other search platforms use bounce rate, session duration, and pageviews per visit as quality metrics for URLs in their ranking algorithm. That’s one of the major reasons pagespeed affects mobile rankings so much (as slow speeds also associate with high bounce rates). Ultimately, traditional objective UX metrics can tell us a lot of valuable information. This has traditionally been one of the best ways to approach usability, SEO, and digital revenue balance. However, even these metrics can be manipulated or gamed; as things like pageviews per visit doesn’t always tell the whole story (as you can imagine, tricky SEO’s have been trying to hack this for a while and the Duopoly is quick to find cheats). This has been a hot topic for a while but the Duopoly and some of the internet’s largest publishers are now beginning to zero in on some new UX metrics that may help publishers better understand user intent and better understand UX metrics that truly affect brand trust, digital traffic, and ad revenue. This idea of understanding user intent is a way for us to essentially dig in deeper to the traditional UX metrics that we discussed above. These new metrics below are designed to help people better understand the mechanism — or why behind — things like high bounce rates or low pageviews per visit. Additionally, these metrics are a way of seeing truth in how users behave. It’s not uncommon for publishers or technology providers to try to hack UX metrics in an attempt to artificially create better SEO or more ad impressions. What data is starting to reveal is that intent may be the best way of seeing through this fraud, improving SEO, and increasing revenue. As we’ve learned throughout digital publishing history, those that game the system are destined to pay a price, but those that invest in their users and their actual experience usual benefit greatly from these efforts. Below are some core intent metrics that publishers should be making themselves familiar with. Our data science team has recently started tracking these across thousands of sites, and are starting to notice some strong correlations between improvements in these metrics and higher revenues and more traffic. This might be one of the most important “intent” UX metrics to keep an eye on. 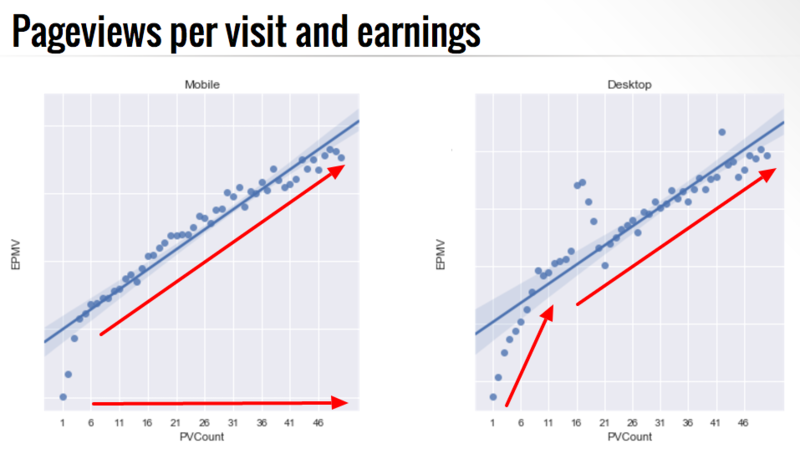 There are a lot of ways that pageviews per visit can be manipulated. Google and the alike have been keen to these for years. Employing methods of securing more pageviews associated with quick navigation bounces can be deadly for SEO and ultimately revenue. What is it exactly? Navigation bounces are similar in a regular bounce where it tracks a user exiting quickly, but is more targeted. A navigation bounce tracks bounces over different pageviews. Say we have 3 pageviews: A, B, and C – where A and C are the same page. The user starts at pageview A, clicks a link to pageview B, realizes the link was incorrect, then they go back the original page (pageview C). The pageview that is marked as a having a navigation bounce is pageview C.
It is paramount for publishers to identify parts of their site where this might be occurring at a high rate, and why. We are in the process of releasing a fascinating study on this and it’s effect on SEO and revenue. Read more about how navigation bounces affect revenue and SEO here. An engaged pageview is a pageview where the user has been spent a reasonable amount of time “engaged” to the page. At Ezoic, we keep track of their engaged time, which is the time they spend reading on a page. A user is not engaged if they are scrolling, not in browser, in a different tab, etc. This is a fantastic metric to see how users are objectively enjoying your content. It can help you determine how different page changes or other alterations may be truly affecting user experiences. This is a very good way to show how not all pageviews are created equal. This one is pretty easy to figure out, but really important for any site that has a brand, image, or relies on returning visitors for traffic and growth. Wouldn’t you want to know if a change or something about your site was positively or negatively affecting the rate at which return website visitors returned to your website? This is a really important one to track if you get more than 10% of traffic from direct sources. This is the time between when a connection starts and the time to the first byte. This is important to monitor when you have things on your site that require users to leverage data quickly. This is another one that is pretty easy to understand. How much are people copy/pasting from your site? For some this may not seem like a big deal, but if you’re a site that provides information to searchers or visitors, you would be surprised at how often items are copied and pasted from your site. It can be really important to understand if something may be negatively affecting this number, and what types of content get the highest rates. This will tell you a lot about how users are accessing and engaging with your content. 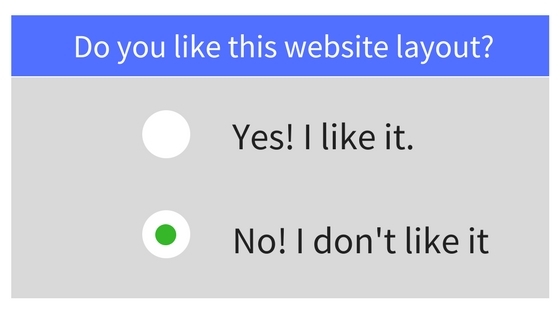 This is pretty simple and ties to the engagement metric above; however, it is a nice overarching way to see if changes or improvements on your site have a positive or negative effect on this metric across your site. Read more about average engaged time here. Ultimately, many digital publishers are not fully capturing or taking advantage of traditional UX metrics today. It is certainly a large opportunity and one with major rewards. However, those that are, may be looking even deeper into understanding and optimizing user behavior. 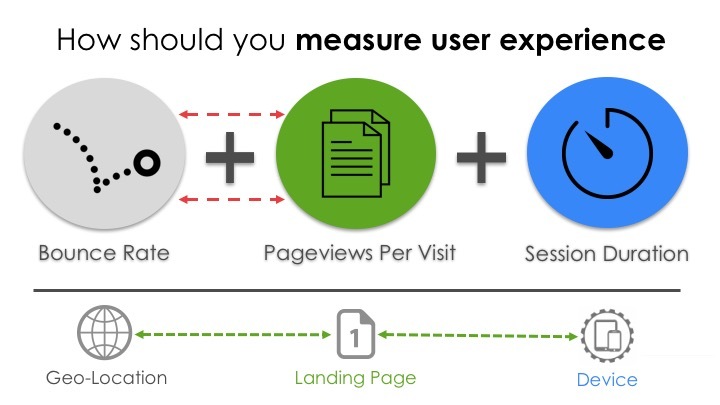 The new metrics above — and methods of understanding landing pages better — offer some new insights that may prove helpful in tracking these UX metrics. For those interested in the new measuring these UX metrics on their site, it can be done so by using Ezoic’s advanced reporting. Questions, thoughts, etc. Leave them below. I respond to everything. Agree to you that UI/UX plays a very important role in the user experience.